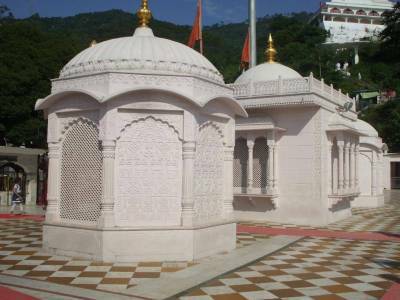 Jwala Devi or Jwala ji is one of the most revered and oldest Shakti Temples in the country. 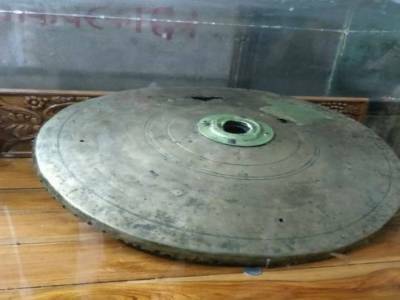 It is one of the 51 Shaktipeeths of the country. This Shakti temple is devoted to the ‘Goddess of Light”. The temple was built by Raja Bhumi Chand Katoch. 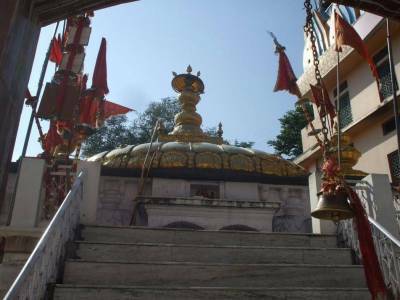 The temple is situated at a distance of 34km from the Kangra district of the charming state of Himachal Pradesh. It is believed that the tongue of Sati have fallen at this place. In this one of a kind temple where there is no idol placed inside the temple but a series of flames which is worshipped with tremendous respect as the goddess herself. That is exactly why the goddess is sometimes referred to as ‘Flaming Goddess’ as well. It is also believed that a visit to this temple brings end to all the sorrows of a person and marks the prelude of happy days in one’s life. Many interesting stories are there encircling this Jwala Devi temple. The temple has got a number of domes which are covered with the precious and charming metal of gold. People in thousands flock to this great pilgrim centre for offering their sincere prayers and seek blessings in return. Beautiful colourful fairs are held during Navaratri every year where visitors just pour in numbers to visit the place. Fairs are held twice in a year, in the months of April and October. 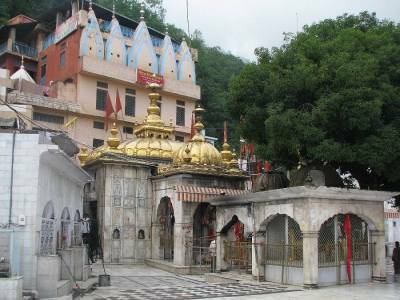 Jwala Devi temple is well-connected by all three mediums of transport. Although there are other temples dedicated to Jwala ji as well, however, this one is considered the most auspicious of them all. Jwala Devi also very near to the beautiful city of Dharamshala, only 56km away. The temple is built against a wooden spur having a dome that was glided by Maharaja Ranjit Singh. It`s a very nice place with full of cosmic energy. 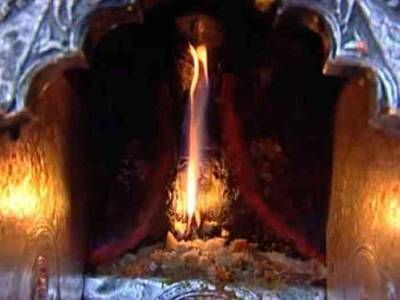 Jwalaji is worshipped in the form of fire, which makes it more enticing to visit. From one of the vertical walls of that sump you can see burning fire without any fuels, this is Jwalaji. Get quick answers from travelers who visit to Jwala ji.